Dentists from Brighton Implant Clinic enhance surgery skills. Dentists At BIC enhance surgery skills. Four dentists from the Brighton Implant Clinic & Advanced Dental Surgery attended an intensive 3-day course at the Coventry University Hospital last month. 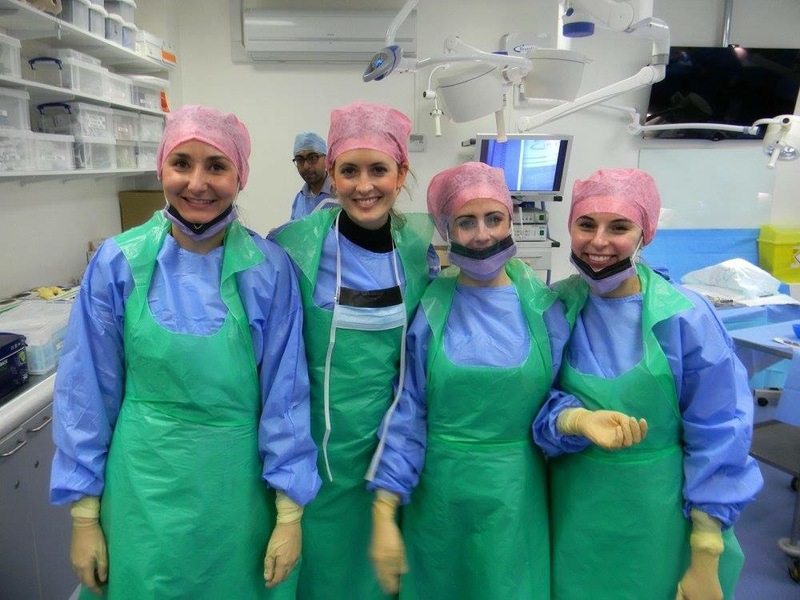 Senior maxillo-facial and oral surgeons from all over Europe, including Italy, Vienna, Paris and the United Kingdom, led demonstrations and practical sessions in advanced bone-grafting techniques. The team of dentists from Brighton Implant Clinic attending the course had the opportunity to practice different bone grafting techniques, including sinus lift, Summer´s technique, bone rings, bone block augmentation for anterior buccal defects, and soft tissue management. Dr. Rocio Bello of the Brighton Implant Clinic said the experience was unique and invaluable from both a clinical and a practical angle. “We had the very privileged opportunity to practice and work with real human tissue under the guidance of highly experienced surgeons. The range of techniques was vast and the course was extremely detailed,” Dr. Bello said. “Dentistry is constantly advancing, and it’s extremely important to keep knowledge and skills up to date. We’re motivated to excel and offer our patients the very best treatments available to keep them smiling with confidence,” Dr. Bello said. The training was the dentists’ last module of their second year. 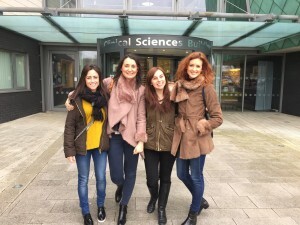 They will be presenting their clinical cases and final dissertation next year. Brighton Implant Clinic & Advanced Dentistry was established in 2009 in Hove, East Sussex and now has branches in Hove, Brighton, Worthing and Hailsham. These welcoming clinics feature state-of-the-art facilities, the latest in dental technologies and dental implants. An experienced team of experienced, friendly and professional dental nurses, technicians and administrative staff await you at Brighton Implant Clinic & Advanced Dentistry. Knowing how much dedication You all have added to the eagerness to learn even more advanced techniques makes me so relaxed and confident about the wonderful treatment I am recieving ….. I have been through traumatic experiences with Dentists in my younger years, and this left me with a tremendous fear of Dentists, then I was given the opportunity to experience Brighton Implant Clinic, and everything I felt and feared from my past has been lifted. From the moment I walked into the clinic I was greeted by warm friendly receptionists, a unique interior, relaxing seating, and even a drink station. From there I was greeted by a very kind friendly assistant, who saw my fear and gave me a gentle smile and my fear seemed to lift. I had an amazingly futuristic xray……right out of ‘Star Wars’..and then met Dr Aurora…..such a warm kind young lady, who took me through the whole proceedure, explaining everything so clearly, and I understood each detail so clearly. I am now half way through completing my upper ‘All on 4’s’ and actually love going for treatment….it feels almost as if I am visiting close friends……and the ‘Fear’ I had for so many many years has totally gone……I have not even experienced the tiniest pain…..not even a flinch !! Yet I have had teeth removed, a temporary Denture fitted, which I must add, look so real and are a perfect fit, and am about to have implants fitted that will enable my new teeth to be permanently fitted…..and I can already smile with such confidence…..but most of all, I am no longer afraid of pain…because there isnt any.